The Amish Hardwood Slanted Mission Footstool adds a cozy spot to rest your feet as you relax. 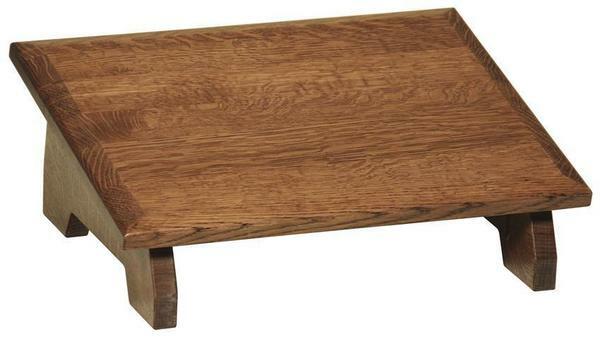 This solid wood beauty is slanted for your comfort and comes in a simple, no frills mission style. Measures 16" x 12" x 6"
Add the element your lounge chair is looking for with a new solid wood footstool. Please email or call us with any questions. Thank you for shopping DutchCrafters. 16" x 12" x 6"